In his gripping and provocative debut, anthropologist Jason De Leon sheds light on one of the most pressing political issues of our time - the human consequences of US immigration policy. 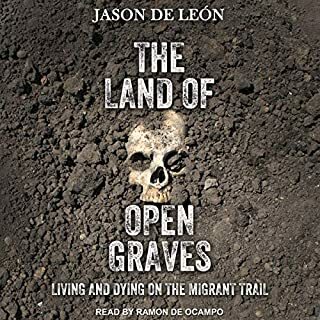 The Land of Open Graves reveals the suffering and deaths that occur daily in the Sonoran Desert of Arizona as thousands of undocumented migrants attempt to cross the border from Mexico into the US. 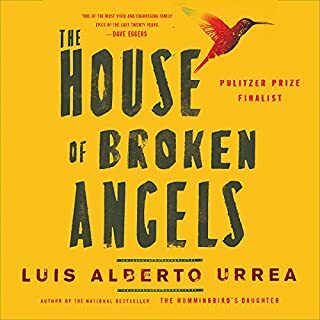 Examining the borders between one nation and another, between one person and another, Urrea reveals his mastery of the short form. This collection includes the Edgar Award-winning "Amapola" and his now-classic "Bid Farewell to Her Many Horses", which had the honor of being chosen for NPR's Selected Shorts not once but twice. Nineteen-year-old Nayeli works at a taco shop in her Mexican village and dreams about her father, who journeyed to the US to find work. Recently it has dawned on her that he isn't the only man who has left town. In fact there are almost no men in the village - they've all gone north. While watching The Magnificent Seven, Nayeli decides to go north herself and recruit seven men - her own "Siete Magníficos" - to repopulate her hometown and protect it from the bandidos who plan on taking it over. Meticulous research, funneled through the heart of a poet; for me, this is about as good as it gets. 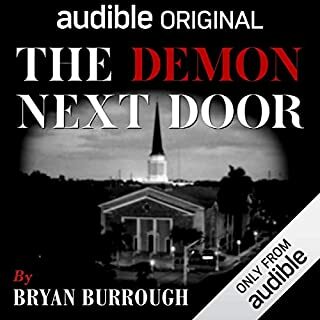 Add to that Mr. Urrea's far-superior pronunciation of words and names in Spanish, and this is the best audiobook I've read in years. If you like horror, true crime or literary non-fiction (how many titles can you say that about?) get this one TODAY. I'm using all my credits on Urrea books until I read them all, and I'm buying print copies as well. Yes, I would definitely recommend this book. 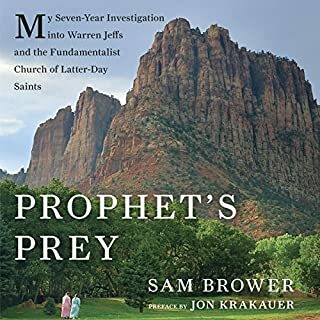 However, I would only recommend this book to a select group of readers who have an open mind and are searching for something a little different. I'm not too sure why I initially selected this particular download as it wouldn't have been my initial preference, but I had a surplus of credits. I'm so glad I picked this book. I am now googling the author, reading his interviews with Bill Moyers and now I'm hooked. 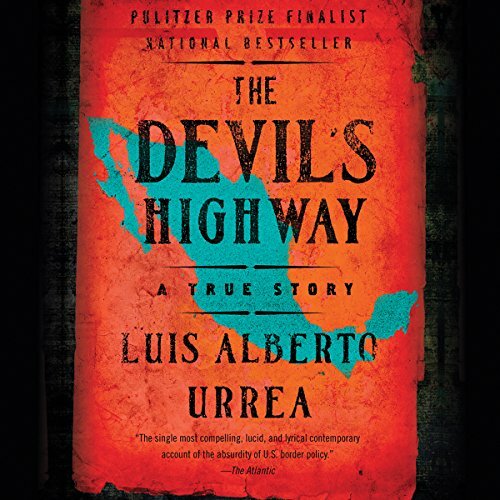 What other book might you compare The Devil's Highway to and why? It's a haunting and harrowing read, much like Cormac Mccarthy's The Road. It's dark, gloomy, and in your face. While many readers get turned off with the grotesque details, I feel leaving out those details discounts the plight of the walkers and La Migra. There were no favorite scenes, but I wish the author would have invested more time in doing more follow up research on the dead walkers, the survivors and the Border Patrol agents who played a role in the rescue efforts. If you could give The Devil's Highway a new subtitle, what would it be? Urrea's narration of his book was pure genius. His tone, pitch, mood, and command of the story was flawless. I stopped myself on several occasions fast forwarding to the key moments of despair due to the anxiety the was building inside of me. Very graphic and not for everyone. 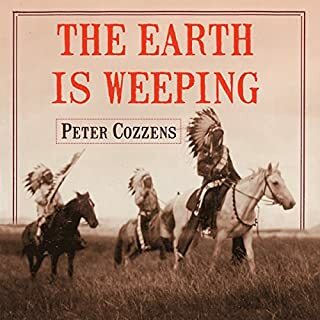 Occasionally I'd have to switch the iPod to lighter listening, only to find it insipid, long for this horribly graphic, incredibly sad story and switch it back again. This is one of many tragedies of 2001 that was totally eclipsed and further complicated by 9/11. There is an interactive map and a few photos if you google the book title, as well as a National Geographic article available on the internet about one of the wildlife areas mentioned that I found to be excellent companions to this book. I wish this type of material was included as a PDF download in more audiobooks that have so much to do with a place. There is also an afterward, consisting of an interview with the author and acknowledgements that gave additional context after the book. The storytelling, details, and overall journey are beautiful for such a sad story. I read this entire book in one day...that's how amazing it is! Wow, a true story well told with a balance story from all sides. well worth the cost!! Luis Alberto Urrea, intellectual voice of so many voices that have been silenced. Such amazing and real work here. Narrated by the author this compelling story is extremely emotional and eye opening. It will leave you in tears. I loved this story. the reading was wonderfully clear and I would definitely recommend it to anyone who has desire to read a harsh story with a great message. I am using this book in a chicana/o literature program and it is by far my favorite book on the list. The author does a great job of narrating the story. This book is incredibly important, very well written, and a great listen. In spite of dealing with a horrible event, an event that is rendered with such a visceral realism that you feel you are dying in the dessert, it is still a well told, often funny, narrative. The story encompasses the complete experience of this boarder event and the people it involves. In fact, the empathy of the author for all who become involved is phenomenal. You get to know everyone in a very firsthand way: the boarder patrol, the immigrants, and the coyote. It is such an accomplishment. Slow start, but once the journey begins the pace picks up. The Aftermath (Part IV) introduces many of the complexities of the immigration story. A great read for someone with limited knowledge looking to gain increased perspective. A true story written like an angry elegy. Hard to listen to in parts, but that's the point. Urrea wants us to face into the reality. It's true, it really happened, and it's still happening. It is an important story beyond the US-Mexican border also. 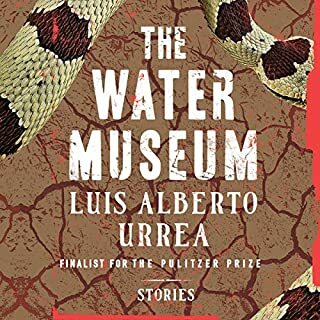 Urrea is a novelist and essayist; this is clear throughout this story which is full of facts and analysis but presented with a storyteller's skill. The book won several awards and shortlisted for the Pulitzer. I will seek out Urrea's other novels now.